I am from Argentina but traveling around the world. 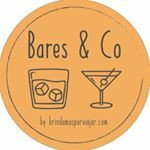 Always looking for new cocktail bars, distilleries and wineries. Demographic data for @bares.co's audience is available for free to influence.co users.